Ok not going to lie these sessions might be my favorite ones of all times! Bring on the glitter! 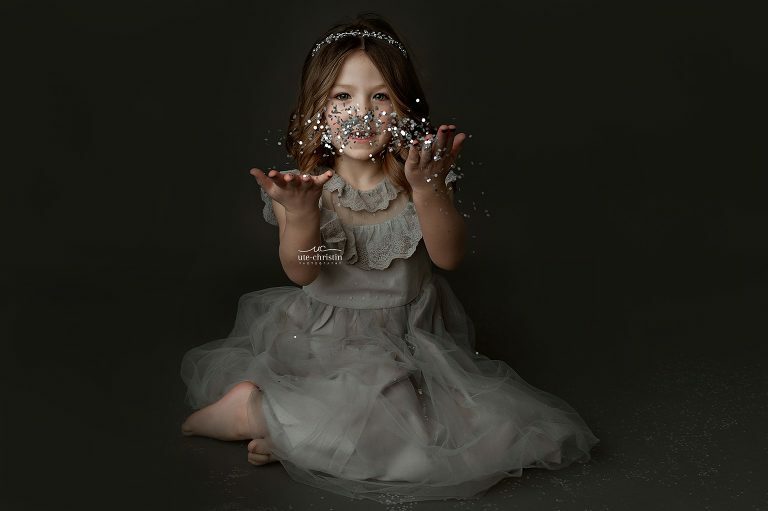 Olive had the best time during her mini glitter session. We provided the dress and the hairpiece and we had a hairdresser in the studio that made the girls look super duper cute! While ten minutes is not a long time, it is just enough time to capture super lasting cuteness. Let’s see her!